Ottawa – While the Canadian economy was firing on all cylinders in 2017, the pace of growth tapered off toward the end of the year. The slowdown is expected to continue this year, with the economy forecast to expand by a more sustainable 1.9 per cent, down from 3.0 per cent in 2017, according to The Conference Board of Canada’s latest Canadian Outlook. Following an increase of 3.0 per cent in 2017, Canada’s economy is forecast to grow by 1.9 per cent in 2018. While household spending will remain the main driver of economic growth, the pace of spending is expected to ease significantly. Employment growth is expected to slow to 232,000 jobs, down from an 336,900 in 2017. Tighter labour markets and increased retirements from baby boomers will lead to much slower employment growth in 2018. Job gains are expected to slow to 232,000 jobs, down from an impressive 336,900 last year. On a more positive note, a tight labour market will help support wage growth which could help cushion the impact of rising interest rates. While household spending is expected to continue to be the main driver of economic growth, the pace of spending is forecast to ease significantly as high debt levels, slowing disposable income growth, and rising interest rates force consumers to dial back their spending. Purchases of durable goods are expected to bear the brunt of the slowdown after several years of consumers ramping up purchases, much of it funded on credit. Overall, real personal consumption is expected to increase by 2.4 per cent, down from 3.5 per cent last year. A variety of factors point to further housing market cooling in 2018. Topping the list is the imposition of a new “stress test” imposed on mortgage borrowers by federal regulators. This reduces the maximum mortgage for which borrowers can qualify for, and it will reduce housing demand, particularly for higher-priced units. Rising interest rates, moderating employment growth, and high household debt will further limit consumers’ housing aspirations. This will be partially offset by stronger population gains resulting from higher immigration targets. Housing starts will ease to roughly 213,200 units this year from 219,700 units in 2017. Despite strong demand in the U.S. and a competitively low Canadian dollar, exports will continue to underperform in 2018. For the third year in a row, non-energy merchandise exports are on track to record almost no growth, while exports in the wood products, aerospace, and automotive sectors are all forecast to decline for the second year in a row. Exporters are facing numerous challenges and increased uncertainty surrounding the outcome of NAFTA negotiations and the possibility of increased tariffs. Recent Conference Board research found that real GDP would lose half a percentage point of growth in the year following the termination of NAFTA, but the impact could be larger if business confidence or foreign investment to Canada is undermined by the loss of free trade. Early indications point to another disappointing year for business investment. Despite a more positive outlook among businesses for profits and sales, companies are indicating that they plan to keep overall investment flat. Businesses may be holding back due to trade uncertainty and may also find Canada to be a less competitive destination for investment considering the large American tax cuts passed at the end of last year. Real business investment spending is forecast to expand by just 1.0 per cent in 2018, down from growth of 2.3 per cent in 2017. Ottawa – Canadian manufacturing sales fell 1.0 per cent in January, with the decline led by the motor vehicle, aerospace and primary metal industries, Statistics Canada said Friday. Economists had expected a drop of 0.8 per cent, according to Thomson Reuters. Manufacturing sales for January totalled $54.9 billion as 14 of the 21 industries moved lower, while overall manufacturing sales in volume terms declined 1.1 per cent. CIBC economist Royce Mendes said Canadian factories had a rough start to the year. “The survey suggests that GDP data could look soggy to open the new year,” Mendes wrote in a brief note to clients. The Bank of Canada noted that fourth-quarter growth was weaker than it expected when it said it would keep its key interest rate target on hold earlier this month. The central bank also said recent trade policy developments represented a key source of uncertainty for the Canadian and global outlooks. Royal Bank senior economist Nathan Janzen said recent Canadian economic data has been more mixed compared with a year ago when the economy was growing at an unsustainably strong clip. “Reports on retail and wholesale trade sales next week will provide further clarification on the pace of early-2018 growth but for now we think the data is still consistent with further, albeit more modest, improvement at a close to two per cent rate in Q1,” Janzen said. The drop in Canadian factory sales came as sales of motor vehicles fell 8.0 per cent to $4.9 billion, following two consecutive monthly increases. Meanwhile, production in the aerospace product and parts industry fell 9.5 per cent to $1.6 billion, while the primary metal industry dropped 2.8 per cent to $4.1 billion. Offsetting the drop, sales in the petroleum and coal product industry climbed 6.5 per cent to $6.1 billion, while chemical manufacturing sales rose 6.1 per cent to $4.7 billion. OTTAWA – American trade officials are showing newfound interest in a Canadian proposal for revamping NAFTA’s automotive provisions as the U.S. seeks to swiftly conclude renegotiations of the continental free trade pact. At the conclusion of the last round of negotiations in Mexico earlier this month, U.S. Trade Representative Robert Lighthizer said “time is running very short” to get a deal before “political headwinds” – Mexico’s presidential election in July, American midterms in November and provincial elections in Ontario and Quebec – start to complicate matters. For the first time, Lighthizer made public his hope of completing a NAFTA deal – including the legally required six-month congressional consultation period and ratification vote – before a new Congress gets sworn in next January. They believe the only way it can happen is if the U.S. drops many of its controversial demands and accepts modest changes in just a few key areas _ in particular on automobiles, which Canadian officials have believed from the outset would be the key to a successful renegotiation. In the meeting, Volpe said the Americans reiterated their opening demand _ that vehicles must have 85 per cent North American content and 50 per cent American content to be eligible for duty-free movement across the three countries, up from the current NAFTA requirement of 62.5 per cent North American content _ which has been rejected as a non-starter by Canada, Mexico and the industry. MONTREAL—Canada’s softwood lumber industry is bracing for a second wave of U.S. duties expected to come Monday that could put further pressure on producers, particularly smaller ones, to cut jobs. “Anti-dumping (duties) is a way to scare the Canadians and try to force them to get something done,” he said from Vancouver. Canada’s share of the U.S. softwood lumber market was 27 per cent in May, down from 31 per cent a year earlier, according to monthly Canadian government reports. That represented a $165-million loss in exports for the month, including $105 million in B.C. and $18 million in Quebec. Final duty rates have been lower than preliminary tariffs in the past. But Quinn said that could change this time because the U.S. Lumber Coalition is pushing for a tough response to the Canadian government’s $867-million financial support for the industry, mainly through loans and loan guarantees. Federal Natural Resources Minister Jim Carr said Ottawa was “very prudent” in developing the program and wouldn’t say if more industry funding will be coming in the wake of the second round of duties. The Conference Board of Canada has said U.S. softwood lumber duties will cost Canadian producers $1.7 billion a year and result in the reduction of 2,200 jobs. Resolute spokesman Seth Kursman wouldn’t say if the Montreal-based company will pursue another round of layoffs. “It wouldn’t be fair for me to speculate and guess and in doing so create angst among our people and the communities in which we work and live,” he said. The massive wildfires that burned in California, Oregon, Montana, Idaho, British Columbia and other parts of North America in 2017 in many cases exhibited a disturbing trend: a marked increase in the amount of area burned. 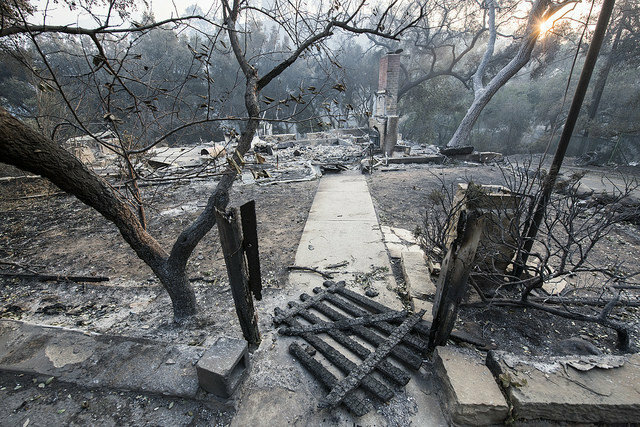 The Thomas Fire, which consumed 281,893 acres in California’s Santa Barbara and Ventura counties in December, was the largest in the state’s history. The Nazko Complex Fire in British Columbia burned more than 1 million acres, the largest ever recorded for the province. That trend will continue in coming decades across the Western U.S. and northwestern Canada, though not uniformly, according to a recent study. UA professor Don Falk and Thomas Kitzberger from the Universidad Nacional del Comahue in Argentina, who started working on the research as a visiting scholar at the UA, were co-investigators on the study that also included Thomas Swetnam from the UA and Leroy Westerling of the University of California, Merced. While it may have been an exceptional year in some respects, Falk’s and Kitzberger’s predictions suggest that years like 2017 are likely to become more common over time. States in the interior Western U.S., in particular, may be faced with large increases in total wildfire area burned, potentially beyond anything that has been experienced in the past. Their research paper, “Direct and indirect climate controls predict heterogeneous early-mid 21st century wildfire burned area across western and boreal North America,” was published in the journal PLOS ONE in December as the 2017 fire season was ending. The results project where the greatest increases in area burned are likely to occur across the Western U.S. and Canada in coming decades, suggesting that large fires such as the recent ones in southern and northern California may become more common. “We used 34 years of climate data to calibrate area burned in 1,500 grid cells across western North America, so we could capture the different ways that seasonal climate regulates fire in different regions,” said Falk, a professor in the School of Natural Resources and the Environment in the UA College of Agriculture and Life Sciences. The key measurement, annual area burned, is a combination of fire size, frequency and variability from year to year. Area burned does not necessarily indicate fire severity, the ecological effects in a burned area. Taking into account geographic variation, the study data focused on fire occurrence, seasonal temperatures and snowpack. The seasonal climate variables that turned out to be driving the amount of area burned were summer temperatures during fire season, spring temperatures and rainfall, and winter temperatures. Winter and spring conditions regulate snowpack, which can delay the onset of the fire season. The team built a statistical model for wildfire area burned in each of the grid cells studied, and then tested it with data for actual area burned since 2010 to validate their predictions. It did not project the extent of area burned beyond the mid-21st century, as climate and vegetation changes become more uncertain later in the century. 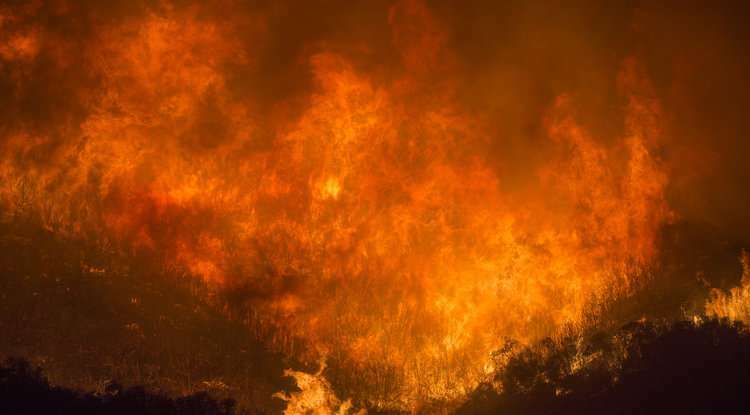 Findings for western and northern North America show that about half the states and provinces are projected to have a large increase—five or more times the current levels—in total wildfire area burned. Others may see smaller increases, indicating there is no “one-size-fits-all” model. Increases in area burned are unevenly distributed across the study area, with the strongest increases projected in the interior western region. Across the U.S., public land managing agencies are being stretched to their limits by the current scale of wildfire. The U.S. Forest Service spends more than half of its entire budget on wildfire response, leaving little for other key elements of its mission such as recreation, ecosystem restoration, research and public education. Knowing about future regional variation in the projected annual area burned can help land managers and policy makers prepare for the possibility of extremely large fire years. Falk pointed out that seasonal climate changes also are having the effect of making the fire season longer, so there is additional time for more acreage to burn. In years when seasonal climate drives lengthy fire seasons, fire management resources may be stretched to the limit. “Wildfires act as a multiplier of other forces such as climate change, exposing more and more areas not only to the immediate effects of fire, but also to the resulting cascade of ecological, hydrological, economic and social consequences,” Falk said. “We hope that this research will be a wake-up call to public agencies and legislatures at all levels of government that the fire problem is not going to get any smaller in coming decades. The turbine will have a 12 MW direct-drive generator, and be able to produce 45% more energy than turbines currently on the market. The plan will take a significant investment from GE, which will plug more than 400 million dollars into the turbine’s development over the next three to five years. The colossal turbine’s rotors will be designed and manufactured by LM Wind Power out of Denmark. The carbon hybrid blades will be 107-meters long, or 351 feet which is only nine feet shorter than a football field. Each one of these machines will generate enough energy to power up to 5,000 U.S. homes. The hope is to create wind farms that will power up to 300,000 homes. It’s actually enough power to cover 1 million European households, just a side note on average U.S. energy consumption. The industry is interested for a number of reasons, namely the fact that more powerful turbines mean wind farms with fewer machines. It’s cheaper from a capital expense point of view, and it reduces risk in the installation process. It will also translate to less maintenance and simplify operations. According to GE, the design should make offshore wind projects more profitable and lower the cost of electricity. 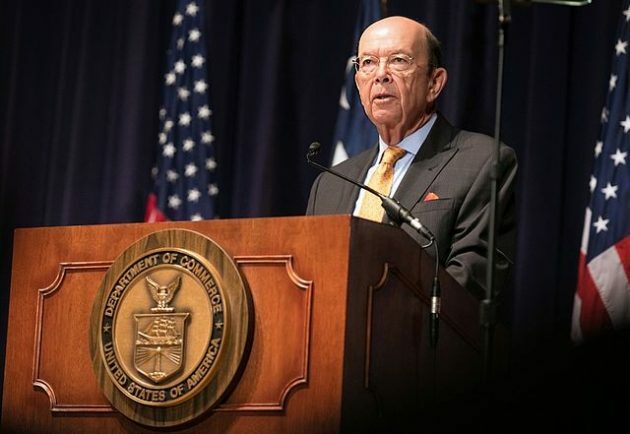 “The president indicated that if we can work something out with Canada and Mexico they will be exempted,” said U.S. Commerce Secretary Wilbur Ross, speaking about sparing the U.S.’s NAFTA partners from punishing steel and aluminium tariffs if a new North American pact can be agreed upon. WASHINGTON—Two members of U.S. President Donald Trump’s Cabinet suggested Wednesday that Canada and Mexico might escape new tariffs on steel and aluminum, a potential bargaining chip in North American trade talks that heeds the ‘surgical approach“ advocated by House Speaker Paul Ryan. Treasury Secretary Steven Mnuchin said the administration was “definitely going to end up” with the across-the-board tariffs Trump is seeking—25 per cent on steel imports, 10 per cent on aluminum. “But, again, there will be a mechanism where, to the extent that the president wants to give waivers, the president can do that,” Mnuchin told Fox Business. Trump has said the tariffs are needed to preserve the American industries and protect national security, but he also has tried to use them as leverage in the current talks to revise the North American Free Trade Agreement, negotiated under President Bill Clinton. Sen. David Perdue, R-Ga., who opposes the tariffs, said after meeting Tuesday with White House chief of staff John Kelly that the administration was willing to consider his views. “Absolutely. There’s an openness now,” Perdue said. But those views sounded more like wishful thinking after Trump’s news conference with Sweden’s prime minister, when Trump reiterated his intentions. Washington, DC —Donald Trump’s views on trade have been clobbered in a report released by the White House —and signed by none other than the president of the United States himself. But a different story is told in the newly released 2018 White House “Economic Report of the President” —an annual document prepared by Trump’s own team, in which Trump’s own signature appears below the introductory foreword. It contradicts a number of trade statements and policies already articulated by Trump. One example involves the supposed trade deficit with Canada. Trump keeps insisting it exists, but the document he signed states Canada is among the few countries in the world with whom the U.S. runs a surplus. The report also contradicts the president by saying trade has helped the U.S. economy grow, that economies are shifting away from manufacturing, that foreign trade is increasingly important, that America has a good record of success in international dispute panels at the WTO, and that reworking trade agreements is no way to address a trade deficit. “Trade and economic growth are strongly and positively correlated,” says the White House report. The report does concede that trade deals create winners and losers in a country. But it says the states along the border have been the biggest winners in NAFTA. It concludes that, in general, trade creates jobs and wealth, and cites a study that every percentage point increase in trade-to-GDP ratio raises per capita income by between 0.5 and 2 per cent. “(This) is a stunning rebuke of … the president and his trade team,” Scott Lincicome of the pro-market Cato Institute tweeted after the report was released last week.